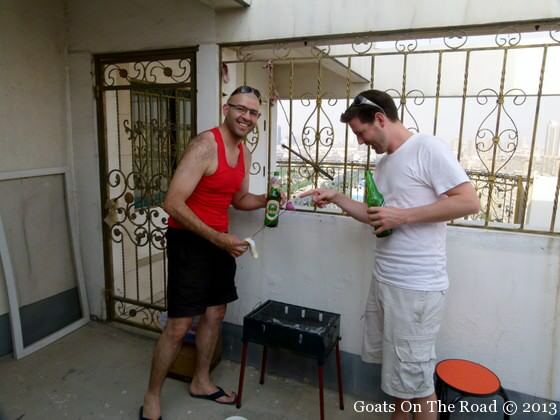 Goats on the Road Posts » Travel Blogs » Asia » Northern Asia » China » BBQ’s and Picnics: A Foreign Concept in China? 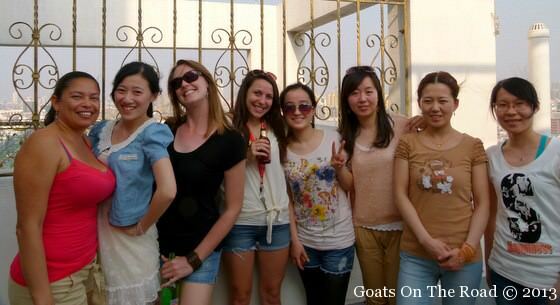 One of the best things about living in China is witnessing our Chinese friends try new (aka, Western) things! Over the last couple of weeks the weather has been really nice and we’ve been trying to spend lots of time outdoors, and we’ve been trying to include our Chinese friends. 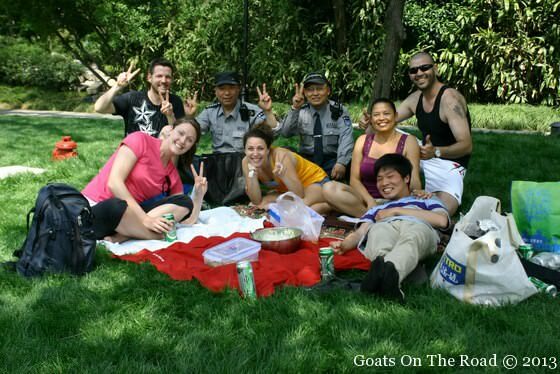 A day in the park with some friends…and the security guards! 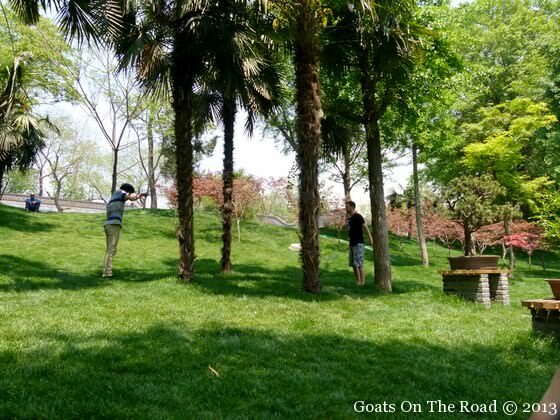 Recently, we went to a nearby park for the day with our life assistant/friend here in China, Standy. The only normal part of that day for him was playing badminton. 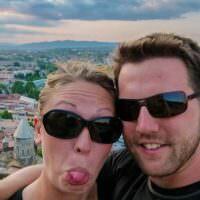 He hated all of the typical picnic foods we brought – pasta salad, potato salad, green salad and chips. The only thing he liked were the nectarines, which he insisted were peaches. His food contribution? Ice cream! Not exactly a typical picnic food. 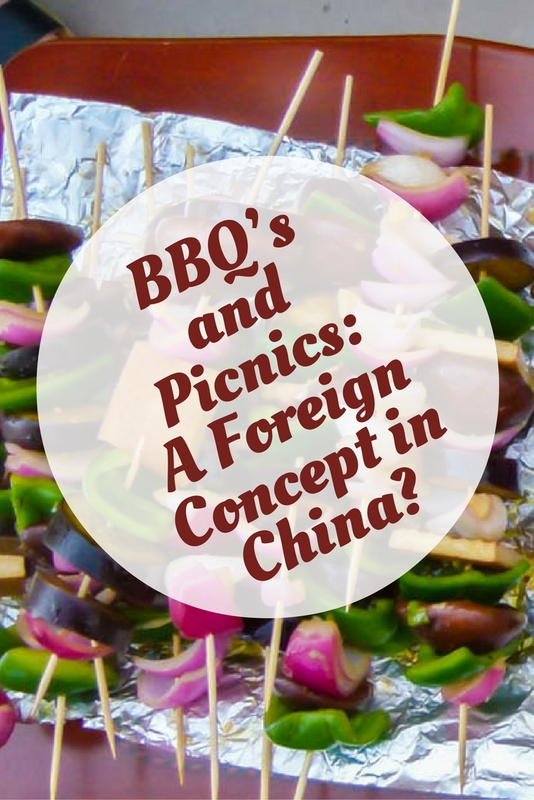 Chinese people simply don’t picnic the way we do! 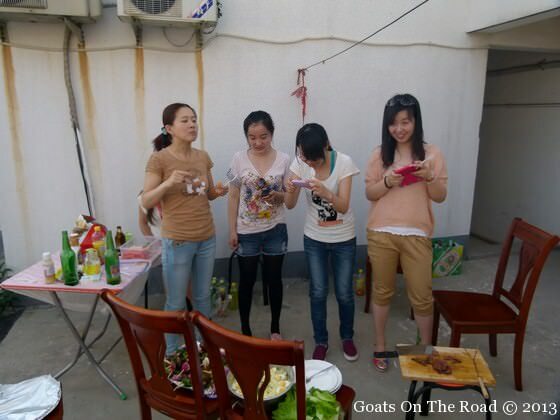 This weekend, our colleague had a BBQ at his house, which has a perfect rooftop patio and view of Yangzhou. He invited over some of the Chinese teaching staff as well, which was awesome as we rarely get to hangout with them outside of work. At home, we are practically raised on BBQ’s and have one almost every night. 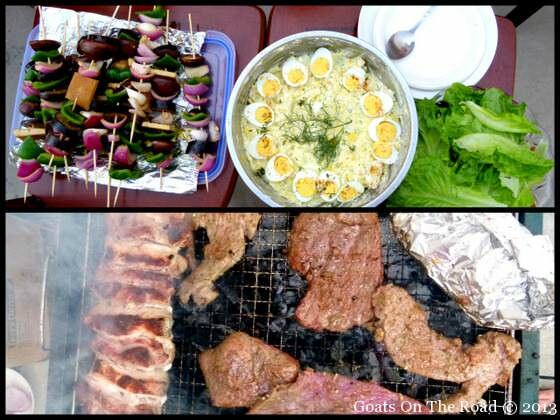 During the summer everyone will get together and grill up some meats, have lots of salads, music and of course, beer. This was such a foreign concept to our Chinese friends. The first question they had when they were invited was: What do I wear? The response: Clothing. They have never been to a BBQ and didn’t know what to bring or what to wear. They ended up calling us from the grocery store to say that they were going to bring some lettuce! They did end up bringing a massive watermelon, which was perfect for the event. 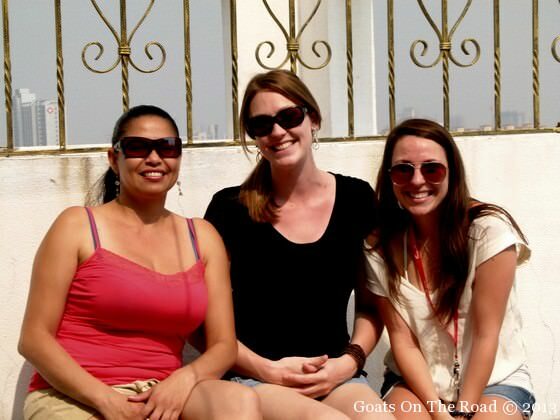 Rosemary, Me and Colleen enjoying the sunshine! It ended up being quite the night for them. They experienced Colombian and North American BBQ flavours, we played some typical drinking games (of course, the Chinese women were only drinking juice), we were taught how to salsa dance by our friend and his girlfriend from Colombia and we even managed to all get locked out of the house and had to call a lock-smith at 11:00 at night. I think it was a pretty good introduction to how we would typically spend a summer night in the western world…minus the camping, of course. We only have about a month and a half left here in China and we hope to spend more time with our Chinese friends before we leave. 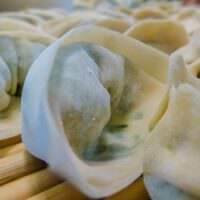 My birthday is coming up and the girls have invited us over to show us how they would spend a typical evening together – dumpling making. If you ask me, it sounds like a pretty good way to spend my birthday in China! One thing though, when Lina asked me “what should I wear?” I told her to wear anything she wanted, like normal clothes or even a bikini if she so wished…needless to say she was really embarrassed by my suggestion! Thanks Audrey. It was a really fun night with them 🙂 Can’t wait for dumpling making night!